While Singapore is popularly known as Asia's Little Red Dot mainly due to its small land area, this has never hindered the nation in becoming one of the fastest growing country in the region (if not the world). Take their wildlife reserves for example, the country is home to hundreds of land, sea and air creatures and mind you, they all live freely in their own natural habitat instead of being thrown in a cage. 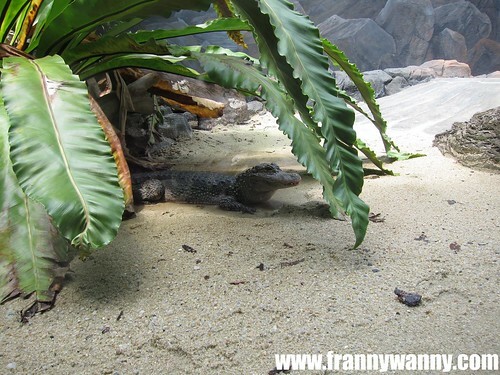 This was one of the things that has impressed me when I first visited the Singapore Zoo more than two decades ago. Growing up, my parents would make it a point to take Pan and I to various educational sites be it in Manila or outside of the country. They both believe that learning is an ongoing process and this should not be limited to what was taught within the four corners of the classroom. I really love going on trips with them as we always come back learning something new. So, when my family came to visit me a few weeks ago, I think it's about time to return the favor. 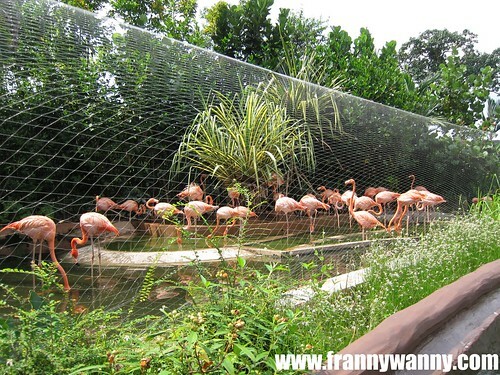 I then made sure to include visiting the newly-opened River Safari as part of our itinerary. 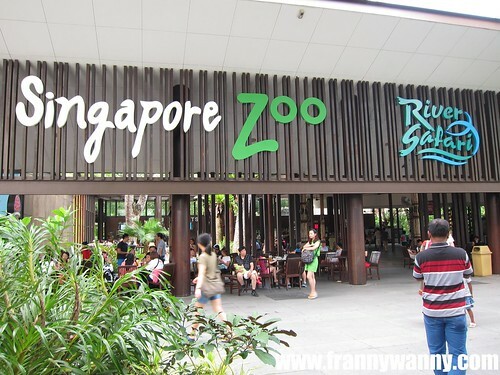 River Safari is the newest addition to Singapore's Wildlife Attractions which includes the Singapore Zoo, Jurong Bird's Park and the Night Safari. 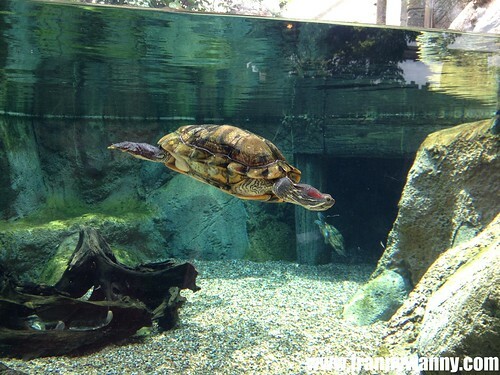 Here, visitors will see all types of fresh water creatures from huge crocodiles, a wide array of birds (! ), the cutest fishes and the very lovable panda bears from China -- Jia Jia and Kai Kai! The highlight of my trip was in the Giant Panda Forest. 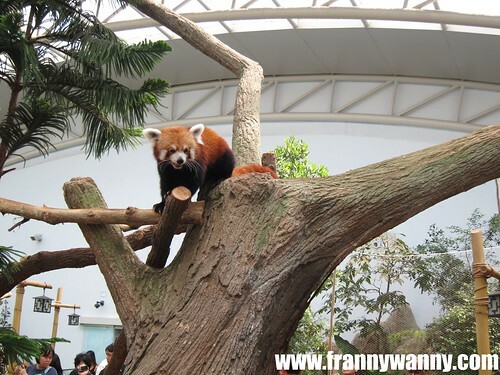 I saw two really adorable Red Pandas which for some reason reminds me of my dear Scottie back home. It must be because they share the same reddish-brown color and they have the same cute, inquisitive and adorable faces just like my dog Scottie. There's Kai Kai who unfortunately was sound asleep. 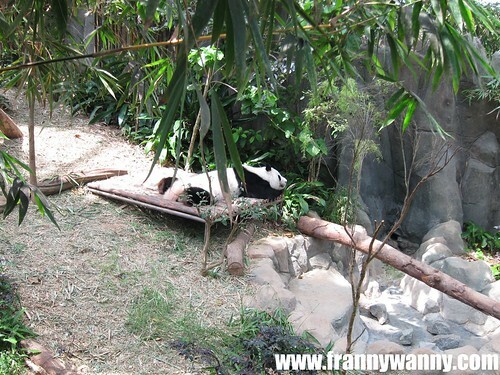 Even his partner Jia Jia hid in her den and was fast asleep too. 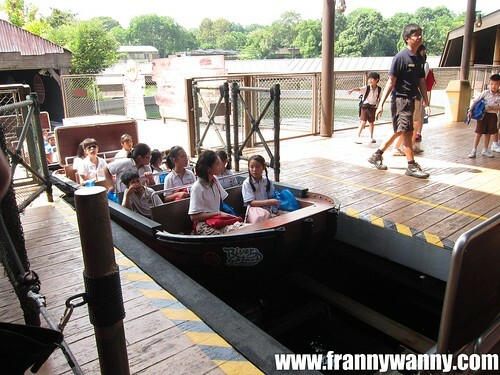 We also took the boat ride (S$5) which was worth it. Without taking the boat ride, you'll miss seeing the flock of flamingos, the Red Howler Monkeys and the most dramatic of all, the Jaguar. We failed to get a nice photo of how the Jaguar suddenly showed up with its fierce look. It seemed like we're in the movies! 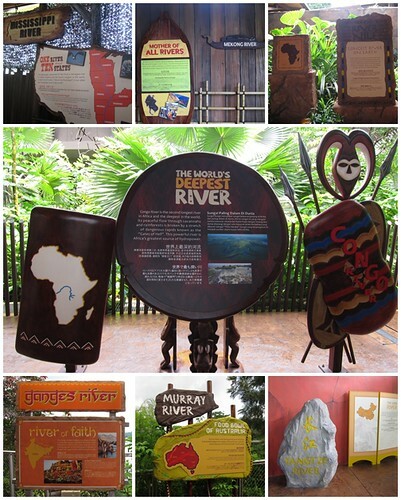 The River Safari wasn't as big as we were expecting it to be but we went through all 8 great rivers of the world and we were able to come up close to the different species and creatures that calls these rivers their home. Definitely a fun way to spend a nice afternoon with the family. Just make sure to check the weather before going as it can really be a bummer if it's raining. For one thing, you'll definitely end up soaked wet during the boat ride. I also recommend booking online as there's a 5% discount plus it will guarantee you a slot for the boat ride which has very limited tickets available per day. There are two food establishments inside River Safari and a couple of fast food outlets outside such as KFC, Ben & Jerry's, Ah Meng Restaurant and a lot more. 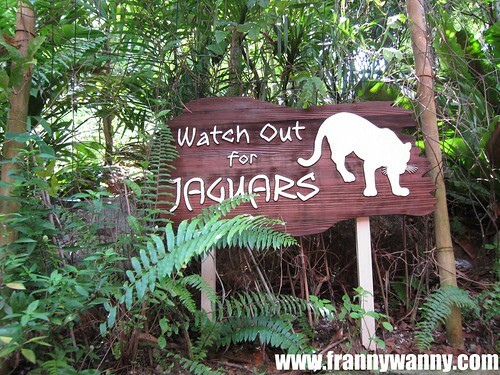 River Safari is located at 80 Mandai Lake Rd, Singapore 729826. - Take the MRT to Ang Mo Kio, take bus 138 at the Ang Mo Kio Bus Interchange.